The RNB6, Parrot has concluded, is not the sort of thing they want to sell to consumers. They say this is because the level of in-vehicle integration it offers is essentially unusable for anyone but an auto manufacturer, and also probably because it would have been stupid expensive. After all, we're talking about a head unit with 3 HDMI ports (including a mini-HDMI for a dash cam), ethernet, USB, and a heat sink the size of Texas. It also was Android Auto and Apple CarPlay ready, and the unit itself ran Android 5.0. It had a glossy capacitive touch 7" IPS display with 720p resolution (high for a car), and generally looked "pretty sweet." It also had Android's standard navigation buttons, which was pretty weird. Anyway, Parrot is now working with carmakers to integrate the RNB6 into their vehicles, allegedly, and maybe possibly you'll see one in a car in like... three years. Because that's how long these kinds of product decisions tend to take in the automotive world. And you can probably expect that, by the time a carmaker gets their hands on it (aside from boutique sports car manufacturers), it will look substantially different than it did at CES. [July 2015 update] RNB6 project was showcased at CES Las Vegas in January 2015 (watch video below). 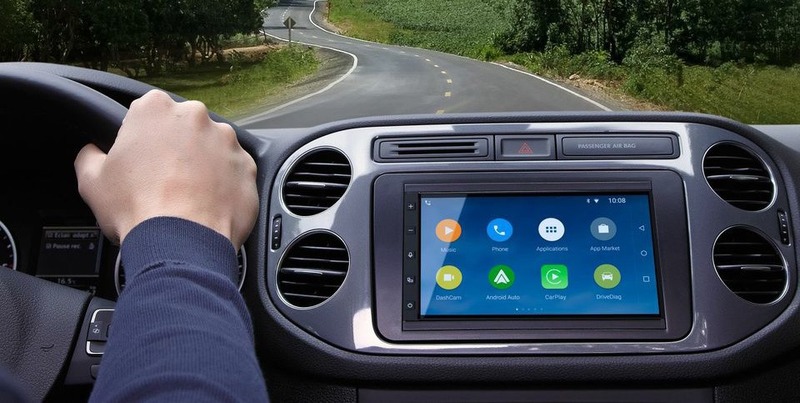 This infotainment system was selected by several automakers who envision to integrate it in their next-generation car models next year and beyond. As of today there is no plan to sell RNB6 in Aftermarket channels as RNB6 embedded technologies require deep integration with car series and manufacturers. 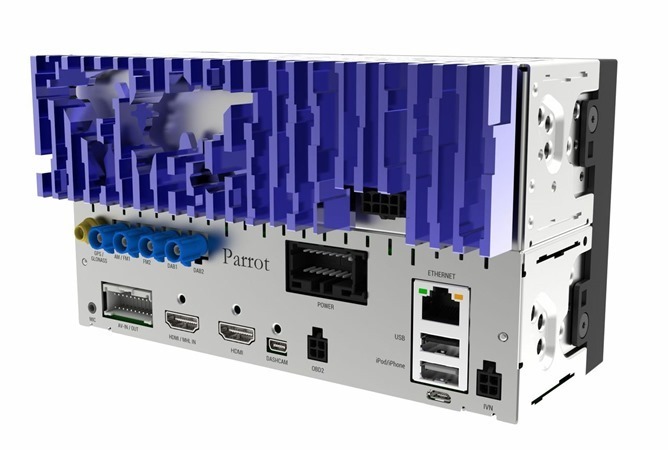 Parrot has declined to state which manufacturers it is working with, though the company does have some history here, having its also-several-years-old (as in, 2011) Asteroid head unit featured in the Alfa Romeo 4C. The larger Asteroid SMART is also featured in a few other Alfa models, and generally seems to be liked by consumers.